Write To Order, Ltd - JAIA SISTERS MINISTRIES, INC.
*To Teach Them to Fight, at Publisher. * Do You Hear Me, Jesus? Kingdom Living Publishing. To be released. * Notes from a Desert Place. Kingdom Living Publishing. 2012. * “Dancing the Grace of God,” Turning the Wheel: Henri Nouwen and Our Search for God. Orbis Books. 2007. * Adult Commentary, 3rd Quarter. Boyd Publishing. 2007-2008. * “Seekers for Jesus” Intermediate Sunday School Commentary, 3rd Quarter. Boyd Publishing. 2007. 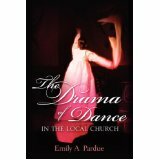 * The Drama of Dance in the Local Church. Xulon Press. 2005. * “It Hurts,” God’s Rainbow Book. Xulon Press. 2005. * I Saw Him. Meriwether Publishing Ltd. 2002. Our Search for God.” Toronto, Canada, 2006.